Pilot is India’s first colorless (clear, transparent) high power wood preservative liquid which is ready to use solution which can be applied on any type of wood like plywood, teak wood, sesame, rose wood, Raw Timber wood etc. 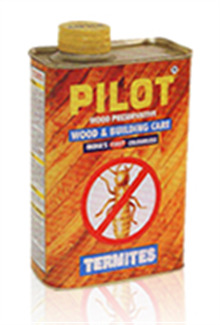 Pilot is a stainless wood preservative having a typical phenolic CNSL (Cashew Nut Shell Liquid) fragrance. White ants (Termite) leaves a threadlike line on the wooden surface. Therefore first apply Pilot thoroughly on the thread type line and other affected parts. Scrape the surface with sharp knife and repeat the process after a week. Pilot penetrates 4mm to 6mm deep inside the wooden surface. 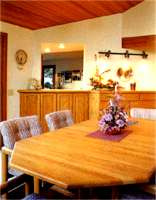 Brush, Swab and Spray treatment: You can use this treatment on new plywood or furniture. Apply Pilot generously in 2 or 3 coats at minimum 12 hours intervals. Injecting Pilot for powder falling problem: Whenever there is such a problem, holes are naturally formed through which the yellow powder is falling. Inject Pilot through all such holes seen for 3 consecutive or 3 alternative days. This will put an end to the powder problem. 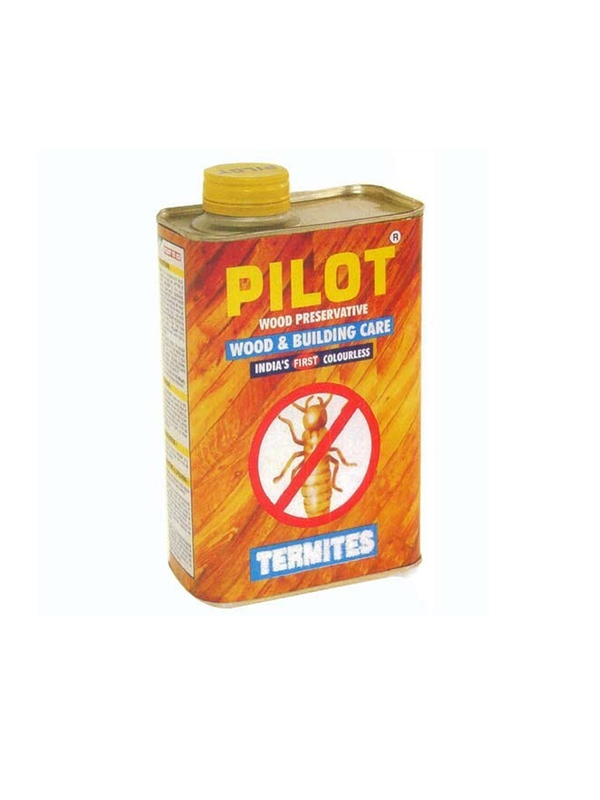 Make your paint termite-proof by adding Pilot: You may add about 250 ml for every 2 Liter of oil paint of any color including white shade it will not spoil the shade nor any properties of the paint as it is herbal and hence non-ionic. Further no need to add turpentine and will save paint, at the end, freedom from wall infestation. Immersion Treatment: You can dip your finished goods or sheets of plywood for 3 minutes or so. Full protection to your wooden furniture, building, godown, storage of yarns, clothes, cotton, rayon and other valuable documents etc. Using of Pilot will immediately stop the powder falling problem, provided Pilot reaches borer’s stomach. 1 Liter of pilot covers an area of 150 sq feet approx. Pilot is the only colorless, clear, transparent wood preservative used on new plywood, timber sheets, new furniture and infested furniture and walls can be added in oil paints and injected in finished furniture. Being colorless Pilot will penetrate up to 6 mm deep in the wooden surface. If further penetration is required, small holes may be drilled and injected, sealing the holes thereafter. 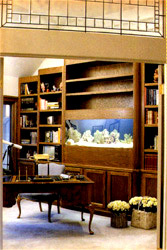 Carpenters, Painters, Architects and Interior Decorators. 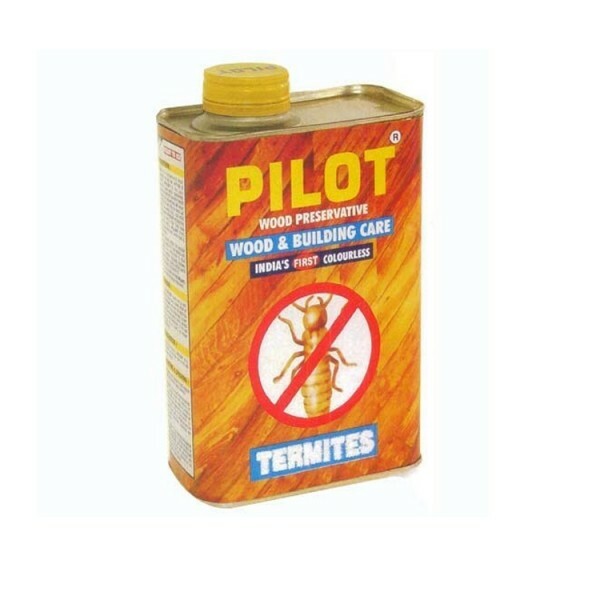 Pilot is available in 100 Ml., 250Ml., 500 Ml., 1 Liter., 3 Liters. 5 10 Liters., 25 Liters. & 225 Liters. National and International Electronic Media. By Institute of wood science & technology, Bangalore. By Bombay Veterinary college, Mumbai. India’s First Colorless Wood PreservativePILOT is a concentrated wood preservative. The life of any wood, four times more than untreated wood. Pilot stops white an, silver fishes & various borers.PILOT remains inside the wooden surface as long as it is not washed out by water. Full protection to your wooden furniture, building, godown, storage of yarns, clothes, cotton, rayon & other valuable documents etc.PackingPilot AEROSOL is available in 320 ML.& 500 ML. International Quality Systems this means consistent quality. Unique 3D Hologram sticker on all products and size – Original and Genuine. We are Dealers, Supplier and Importer of premium quality TMT Steel, Cement, Roofing, Water Proofing and Pest Control. All Rights Reserved © 2015 | Merro Forex PVT. LTD..